HP jumped right into our graffiti art workshop! Home/Classes, Community, Mural Production, Team Building Workshops/HP jumped right into our graffiti art workshop! 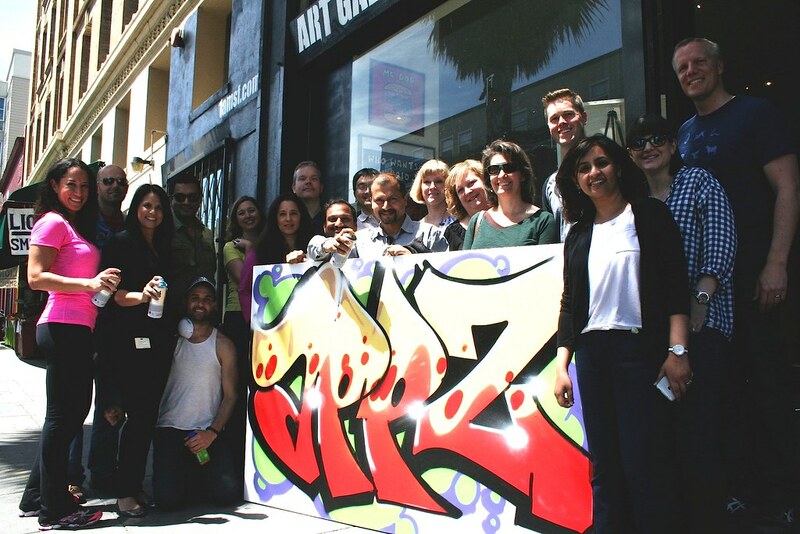 HP pulled out all the stops for their group during their team building workshop with us- they learned about the history of graffiti, got creative with their spray practice and made a bunch of graphic take home murals. Awesome job! 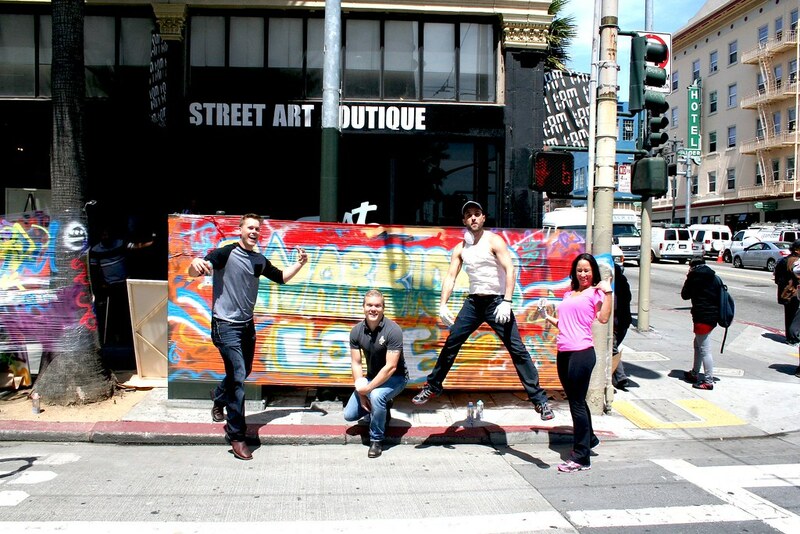 Email privateevents@1AMSF.com to schedule a street immersion offsite for your team!